I have been back in London for a few weeks. I'll be in Paris next week for 3 or 4 days. I must be in Baden about 27 April. I'll send you a line when I arrive. I sent a word to Chatigny. I hope you still are in good health. No one knows in what quality F. Liesse was asked to undertake a trip on 'this ship' and why he or she refused. 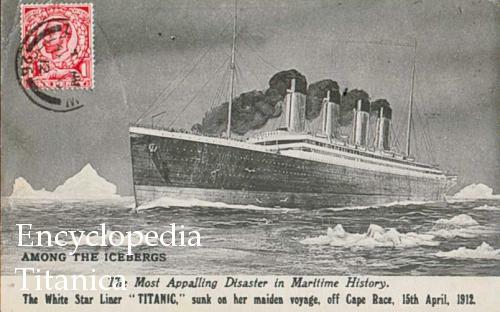 Another name in the 'I-should-have-been-on-board-the-Titanic-but-was-not-for-some-reason" list.